JANUS Promo. . HD Wallpaper and background images in the Boyfriend club tagged: boyfriend kwangmin youngmin minwoo kpop hyunseong jeongmin donghyun. This Boyfriend photo might contain well dressed person, suit, pants suit, pantsuit, outerwear, and overclothes. 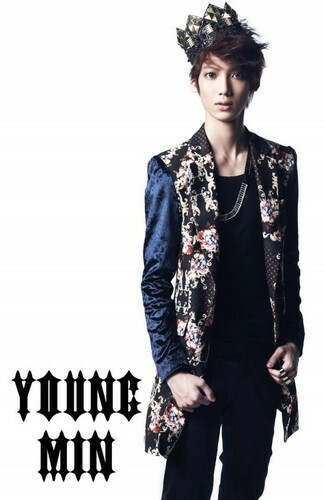 Youngmin, Kwangmin, and Minwoo graduate from high school!